On this page we would like to pick up recent news on ants, fascinating movies, interesting stories or just things we stumble upon while doing our research. Have fun! We found a page on very interesting behavior in Canopy Ants: www.canopyants.com See how ants glide back to their nest tree when falling off their tree. A very remarkable behavior, and you should have a look at the website. There are some nice videos on the website demonstrating how the ants do it and some more background information. Have a look! Recent discussions on a paper from the Global Ant Collaboration Project: Are there more ants in the southern Hemisphere? A recent paper from Rob Dunn Et.Al. and the Global Ant Collaboration Project (Dunn et al. Climatic drivers of hemispheric asymmetry in global patterns of ant species richness. Ecology Letters, 2009; 12 (4): 324 ) is discussed on the website of ScienceDaily and the Myrmecos Blog from Alex Wild. Read the interesting perspective from Alex Wild and his thoughts on the paper! Virtual Research Environments for (ant) taxonomists. An interview with Dr Jürgen Hoppe from SysTax. 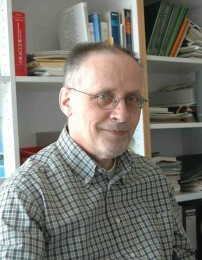 Dr. Jürgen Hoppe is one of the founders of SysTax, which is a leading German provider for the Global Biodiversity Information Facility (GBIF). SysTax is the database that powers the websites of www.antbase.net. Reason enough to introduce you with Dr Hoppe. Follow us into the fascinating world of the ants and the breathtaking biodiversity of the antfauna of Borneo. If you are new to this website and if you want to know more about our website and what it has to offer, have a look at our guided tour. If you are already familiar with our webiste - or if you just want to get an impression of the beauty of ants - just have a look at our photo gallery. The new book by B. Hölldobler and E.O. Wilson on the evolution of insect societies and behavior has been published by now. Eighteen years after their prize winning book "The Ants" they report about the newly gained knowledge on eusocial insects and the mechanisms behind it. 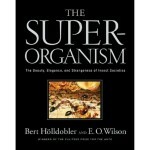 Read more detailed reviews of this book at Myrmecological News or on the website of the Natural History Magazine. Our hearty congratulations go to the lucky researchers!